If you are a beginner at quilting, you will soon learn the infinite possibilities the hobby has to offer. Quilt making is an amazing pastime since you can customize each project, giving special meaning behind everything you create. Best of all, quilts make the perfect gift for acquaintances, co-workers, friends, and family, as you can personalize them to match any underlying theme, occasion, or persona. As a beginner, it helps to keep your projects basic in order to journey along the learning curve at a pace that will be most impactful. Start with these 4 beginner quilt making tips, which will make quilting easier and faster for you! 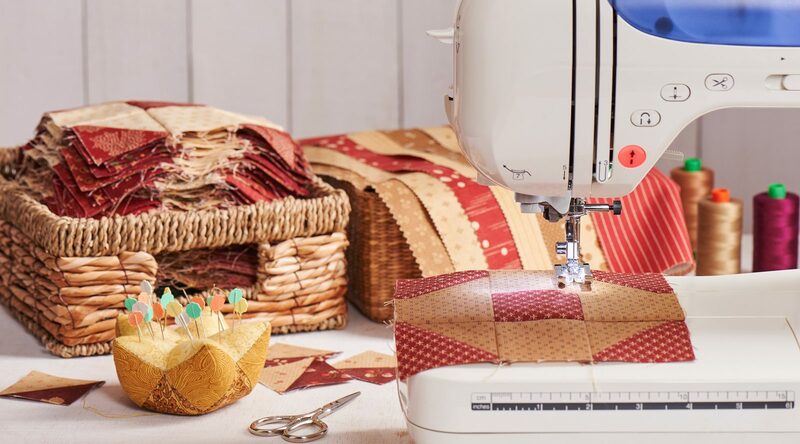 By using pre-cut fabrics, you not only save loads of time in preparation, you can choose a design, pattern, or emblem without the need for extra free-hand stitching. Quilt kits are also very helpful and highly recommended for beginners. They come in all sorts of varieties and combinations, ranging in quality, size, skill level, and price. You can purchase quilt kits online, or at any local fabrics or crafts store. You can let the fabric do the work for you by simply using large blocks and piecing them together, geometrically. You can even take it a step further by choosing more than one type of fabric or patter, and using one as the base and the other as focal points or center pieces. Best of all, using larger blocks of fabric will save you a lot of sewing time. Although quilting is stereotypically done by hand, there is absolutely no shame in using a machine to sew your quilt. Not only does this speed up the process, it adds depth and dimension to your final piece. Using your sewing machine also allows you to use more focused movement, rendering straighter lines and stitches. Another helpful tool to use when making quilts is a die cutter. These are great for cutting out tricky patterns and shapes with superior precision, but in a shorter amount of time. Not only does this speed up the quilt making process, it delivers finer, smoother, more precise cuts for your quilt. Affordable Alterations for Clothes and More! Call Yong’s Alterations at 317-845-9077 for professional home décor and clothing alterations in Indianapolis, Indiana. We are expert tailors who provide affordable alterations for men, women, children, and home décor. Bring us your costumes, coats, suits, dresses, formal wear, team jerseys, curtains, upholstery, and more! 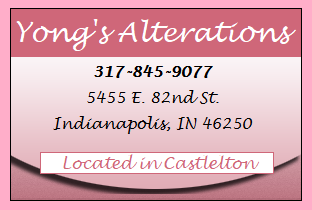 Request a free estimate for Indianapolis Alterations, today. This entry was posted in Sewing and tagged alterations Indianapolis, beginner quilt making, how to make a quilt, quilt making tips, quilting tips. Bookmark the permalink.